Take transit to the Celebration of Light—we’re adding extra service! The Celebration of Light returns on July 28 (South Africa), August 1 (Sweden) and August 4 (South Korea), lighting up the skies at English Bay, the West End and Kits Point! More than 15,000 people take transit to and from the event each night, so it’s a good idea to plan ahead. We’ll be adding extra service and modifying station access in downtown Vancouver to get you to-and-from the festivities smoothly. Keep reading to familiarize yourself with everything you need to know to have a fun and safe evening at the Celebration of Light! Plan ahead and avoid line ups at Compass Vending Machines by topping up your Compass Card or pre-purchasing your return Compass Ticket. And remember—you can tap your contactless Visa or Mastercard credit card or mobile wallet on Compass fare gates and readers to pay for an adult cash fare! Coast Mountain Bus Company and West Vancouver Transit will operate extra trips to downtown Vancouver after 6:30 p.m. and additional service after the events. Some downtown and West End buses will be detoured. For a full list of detours, visit translink.ca/alerts closer to event days. The Expo and Millennium Line will operate peak service from mid-afternoon, with the last scheduled SkyTrain departing Waterfront Station at 1:16 a.m. Service will be extended if necessary. The Canada Line will operate peak service throughout the evening and there will extra service from Waterfront at the end of the fireworks, with trains running every three minutes. The last departure from Waterfront to Richmond–Brighouse Station will be at 1:15 a.m. Extra and extended service will be provided for each of the Celebration of Light events (and also Caribbean Days!). The SeaBus will operate every 15 minutes from 7 a.m. until midnight with the last SeaBus from Waterfront at 1:22 a.m. on Saturdays, July 28 and August 4. On July 28 only, an extra SeaBus will operate between 10 a.m. and 8 p.m.
On Wednesday, August 1, it will operate every 15 minutes between 6 a.m. and midnight, then every 30 minutes until the last sailing from Waterfront at 1:22 a.m.
West Coast Express will operate a special train on August 4 only, leaving Mission City at 7 p.m. and arriving at Waterfront Station at 8:15 p.m. The return train departs Waterfront Station at midnight, arriving back at Mission City at approximately 1:15 a.m. Waterfront Station: SkyTrain access from the Cordova Street entrance will be restricted to Canada Line, SeaBus and West Coast Express (on Aug. 4 only) passengers, as well as persons with wheelchairs or strollers. All other passengers, including those transferring from SeaBus to the Expo Line must enter from Howe Street, until crowds have cleared. Burrard Station: Bikes cannot be locked at the station entrance’s bike rack until the expected crowds have cleared. Granville Station: The Granville Street entrance will be closed until crowds clear (note: the Seymour entrance remains closed as part of the escalator replacement project). Passengers will lineup for the SkyTrain at this station west along Dunsmuir, south on Granville. Platform 1 towards Waterfront will be closed. 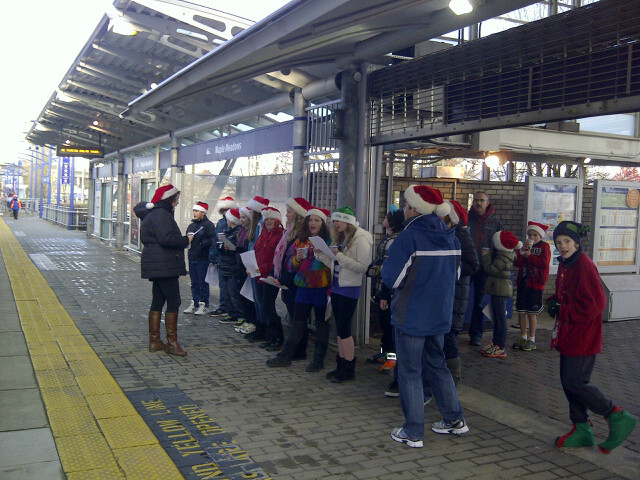 Plan your trip at translink.ca/tripplanner and know before you go by checking Transit Alerts at translink.ca/alerts. May’s ridership numbers are in and we’re seeing unprecedented growth across the transit network! Ridership has reached a new all-time high, with the brief period Vancouver hosted the 2010 Olympic Winter Games being the only exception. Bus: Average weekday boardings for May are up 9.5 per cent, while yearly growth to date is at 6.9 per cent. SkyTrain: May’s Expo and Millennium Line average weekday boardings are up 9.2 per cent, while Canada Line’s grew by 8.1 per cent. Expo, Millennium and Canada Line boardings combined for the year so far are up 5.7 per cent. SeaBus: Average weekday boardings increased by 13.1 per cent. This is due in part to frequency increases in the evening launched a year ago. Year-to-date boardings are up 7.6 per cent. West Coast Express: Boardings for May have increased 6.7 per cent, while the year-to-date growth rate is also 6.7 per cent. Thank you to our customers for choosing us to get around in 2017! In 2017, ridership in Metro Vancouver reached a record-breaking 407 million boardings! That’s a 5.7 per cent increase over 2016. All aboard the West Coast Express Santa Train! It runs on Dec. 9 and 16, benefiting your community toy bureau! The West Coast Express Santa Trains are back for its 22nd year, benefiting community toy bureaus! It’s a great kick-off to the holiday season and such a worthy cause. Please bring your entire family and invite all of your friends on Saturday, Dec. 9 and 16, and help make Christmas brighter for kids in your community! What makes the Santa Trains special is you get a free ticket to ride the West Coast Express in exchange for a new, unwrapped toy donation (worth about the same as a WCE pass) for your community toy bureau. It’s a great way to give to those in need in your community, and have a fun-filled day at the same time! The Santa Train departs Mission City at 10 a.m. on Dec. 9 and 16, and stops at all West Coast Express stations along the way, arriving at Waterfront Station at 11:15 a.m. Once in Vancouver, you can enjoy a day of holiday sights and sounds before returning home from Waterfront Station at 4 p.m.
Make sure you stop by the West Coast Express North Pole Station (at Waterfront Station), beginning at 2:45 p.m., for holiday activities and a photo op with Santa! As well, our friends at Dairyland will provide a taste of egg nog while you wait for your trip home. So bring your camera and your Christmas cheer, and we’ll see you there! 2016 Transit Service Performance Review: what are the top five routes in your area? Last week, TransLink released the 2016 Transit Service Performance Review, a comprehensive look at ridership and service productivity for bus, SeaBus, SkyTrain and West Coast Express. We know there’s tons of information in there to wade through so we’re back this week to share with you a couple more tidbits about boardings from the report! What is a boarding? A boarding is considered each time a passenger enters a fare paid zone using Compass fare media or any other proof of payment. Record numbers for the first half of 2017 puts TransLink on track for a record-breaking year! 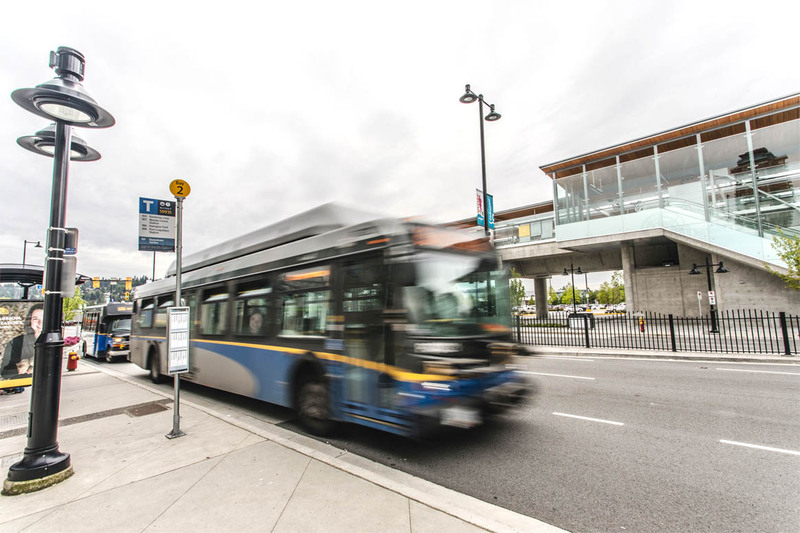 With over 200 million boardings across the region for the first half of 2017 and more than 1.26 million average weekday boardings in the first three months of this year, it’s no surprise that TransLink is on track for record-breaking ridership! We saw a 5.7 per cent increase this half of the year compared to the same period last year! The addition of new transit service in 2017 as part of delivering on the 10-Year Vision is one of the driving attributes in this year’s boost in ridership. Since the beginning of 2017, we have added 89,000 bus service hours, focusing on the region’s most congested areas. Fall service changes coming this September will include the addition of new bus routes and will be the largest expansion since 2010 when we hosted the Olympic Winter Games! The Transit Service Performance Review is one of the tools that we use to direct change. Today, we released the findings of the 2016 Transit Service Performance Review (TSPR), a comprehensive review of ridership and service productivity for bus, SeaBus, SkyTrain and West Coast Express. Have a read of the full 2016 Transit Service Performance Review yourself! The data collected from the TSPR gives us valuable insights on boardings, ridership, transit trends and more. This data helps us identify opportunities to reduce overcrowding, improve performance and reliability and meet the needs of our customers as the region continues to grow. Did you know? We gather data from multiple sources such as fare gates at SkyTrain stations and SeaBus terminals, automated passenger counter units on buses and Compass Card validators. We had record ridership in 2016, with 384.8 million boardings. This represents a 4.5 per cent increase over the previous year! Ridership growth in 2016 was the largest since 2010, when the region hosted the Olympic Winter Games. This growth was likely due to strong economic activity, an increase in transit service hours and the launch of Compass Card. Did you know? System-wide ridership is measured in boardings and journeys. A boarding is considered each time a passenger enters a fare paid zone using Compass fare media or any other proof of payment. A journey is a complete transit trip using Compass fare media or any other proof of payment, regardless of the number of transfers. Want to learn more and keep up with how we’re meeting our goals? Check out the Accountability Centre. By land or by sea, Metro Vancouver residents flocked to the various public transit options to get to, from and around downtown Vancouver this past Canada Day. Compass Card data tells us that passengers tapped in and out approximately 182,000 times at Waterfront Station! That’s a nearly 190 per cent increase in the number of passengers travelling through on Saturday, July 1 compared to an average Saturday of the previous month. All aboard the first-ever Canada Day Express! 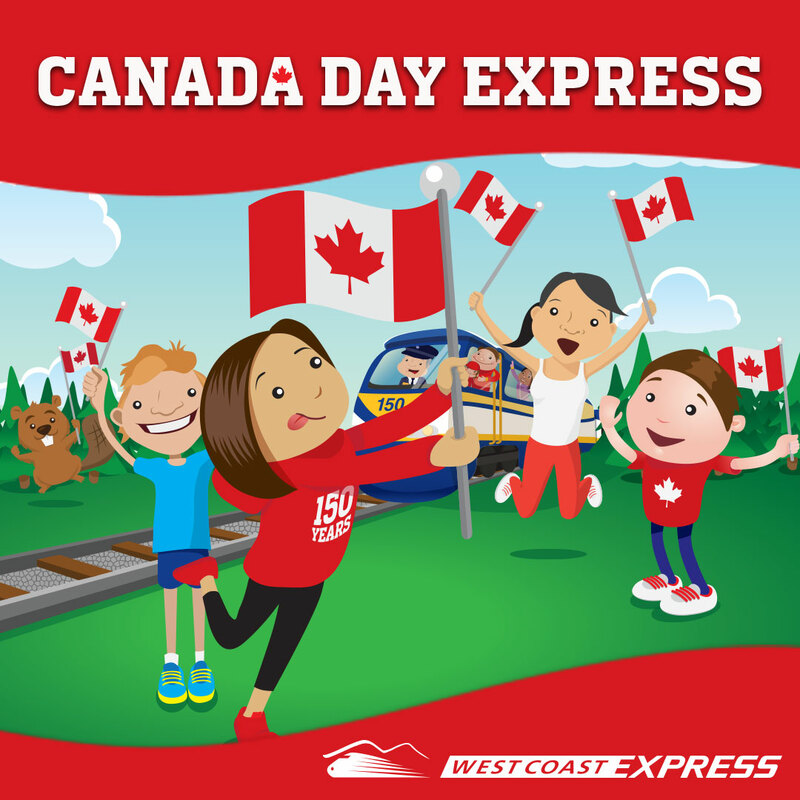 For the first time ever, West Coast Express will be running its newest holiday train on Saturday, July 1 – the Canada Day Express. This July 1 isn’t just any ole Canada Day, this year marks 150 years since Confederation. Given the significance of this sesquicentennial celebration we’re giving our riders an additional opportunity to check out some of the amazing celebratory events being held in and around Vancouver. The Vancouver bound West Coast Express train will be leaving Mission at 11 a.m., arriving at Waterfront Station in Vancouver by 12:15 p.m. This will give riders plenty of time to experience all there is to offer at the various venues in Vancouver and beyond – before the train departs Waterfront at 7:00 p.m.
Don’t forget! The Evergreen Extension of the Millennium Line connects with West Coast Express Stations at Moody Centre Station and Coquitlam Central Station, so if return train schedules don’t fit with your party plans, you can connect through SkyTrain at one of these stations. Regular fares apply for this special holiday train. Use your Compass Card or purchase a ticket at a Compass Vending Machine located at the West Coast Express stations. 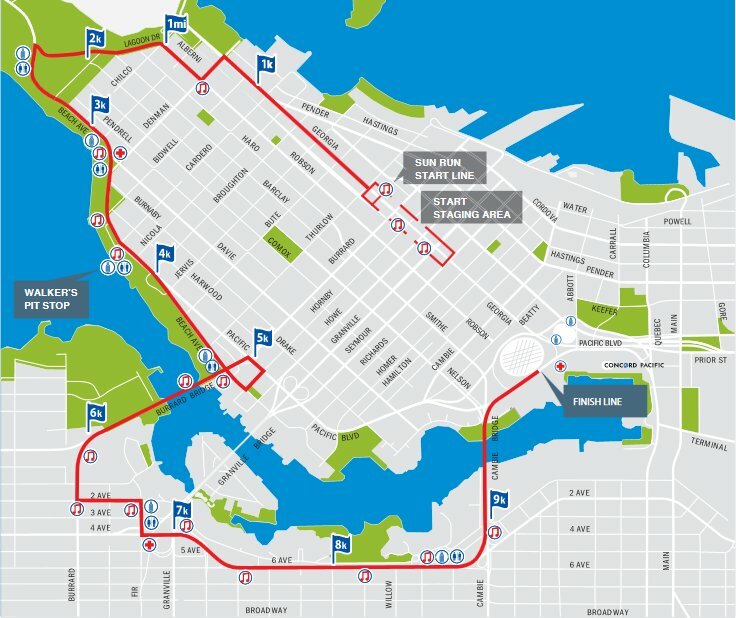 On Sunday, April 23, over 40,000 people will lace up their runners to take part in Canada’s largest 10k road race, the Vancouver Sun Run. Considering the size and scope of this race, lots of bus routes will be affected to clear the way for runners. This may affect your transit trip on Sunday, so make sure you know before you go! Our alerts page has the full list of detours and route changes. For runners and cheering squads, the Expo and Millennium lines will start service a half an hour earlier. Canada Line will run at its usual time at 5:02 a.m.
West Coast Express will run a special Sun Run train arriving at Waterfront Station at approximately 8:15 a.m. This train is expected to be quite busy, so please arrive at your station at least 20 minutes before your departure time. After the race, the train will leave Vancouver at 2:30 p.m.
SeaBus will begin running at 7 am running every 15 minutes until 6:30 pm, when it will return to a regular Sunday schedule. To prevent long line ups afterwards, be sure to pre-purchase return Compass Tickets at a CVM prior to the race, or load up your Compass Card and tap away! For more information on the race head to the Sun Run event page. For a map of affected routes, check out the TransLink events calendar. Better bus connections are coming for West Coast Express riders! Attention all West Coast Express riders! Some of the bus schedules that connect to the West Coast Express were changed on December 19 as part of our regular service changes. Since that time, you’ve reached out by phone, email, Twitter and other channels to tell us that the changes to some routes made for tight connections between bus and West Coast Express. We are listening and we’re making changes to reflect the feedback! 171 Fremont trips departing Coquitlam Central Station weekdays at 6:57 a.m. and 7:27 a.m. will now leave 2 minutes earlier at 6:55 a.m. and 3 minutes earlier at 7:24 a.m.
171 Coquitlam Central Station trips departing Fremont and Dominion weekdays at 7:20 a.m. and 7:50 a.m. will now leave 2 minutes earlier at 7:18 a.m. and 7:48 a.m.
172 Riverside trips departing Coquitlam Central Station weekdays at 6:54 a.m. and 7:24 a.m. will now leave 2 minutes earlier at 6:52 a.m. and 7:22 a.m.
172 Coquitlam Central Station trips departing Dominion and Fremont weekdays at 7:10 a.m. and 7:40 a.m. will now leave 2 minutes earlier at 7:08 a.m. and 3 minutes earlier at 7:37 a.m.
180 Moody Centre Station trips departing from Lougheed Station weekdays between 6:18 a.m. until 8:05 a.m. will now leave 2 minutes earlier. 180 Lougheed Station trips departing from Moody Centre Station weekdays between 5:42 a.m. until 7:32 a.m. will now leave 2 minutes earlier. 182 Moody Centre Station/Belcarra All weekday trip times have been adjusted to better reflect conditions and to connect with the West Coast Express. 184 Moody Centre Station trip departing from Panorama at Lansdowne weekdays at 6:20 a.m. will now leave 5 minutes earlier at 6:15 a.m.
185 Lansdowne trip departing Coquitlam Central Station weekdays at 6:05 a.m. will now leave 5 minutes earlier at 6:00 a.m. In some cases the bus will arrive earlier than it does today so be sure to check Trip Planner or Bus Schedules for specific route schedules. Thank you to those who have let us know about these issues! If you continue to have connection problems, let us know by calling 604-953-3333 or by filling out our Customer Feedback Form. For more details on the schedule changes, visit our Alerts Page. Have bus route or transit planning questions for #DenisThePlanner? Comment below! Despite our best West Coast efforts, a snowy winter has arrived in Metro Vancouver. And it looks like this is just the beginning because there is another dumping of the white stuff forecasted to hit the region. That means lots of extra safety and operational procedures to keep the transit system running smoothly and safely. Remember! Buses can only go as the traffic allows. Be sure to check your municipality’s website for snow removal schedules and give yourself some extra time for your transit trip. 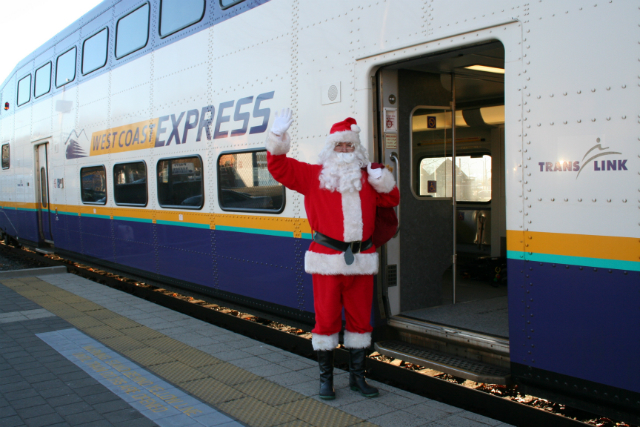 Santa Claus is rolling into town on the West Coast Express! Alllllllllllll aboard the West Coast Express Santa Train! For its 21st year, the West Coast Express Santa Train is back spreading holiday cheer and bringing smiles to children’s faces on the train trips and on Christmas morning. This annual toy drive makes the beautiful 65 km trek from Mission to Vancouver for two Saturdays of festive frivolity before Christmas arrives! The toys are collected on behalf of the Northeast sector Christmas Bureau – including SHARE Society in the Tri-Cities, the Maple Ridge/ & Pitt Meadows Christmas Hamper Society and the Christmas Bureau in Mission. 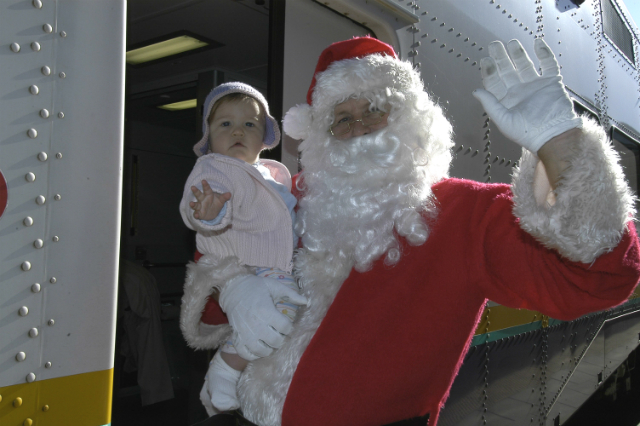 Last year, we had nearly 3,000 riders on the Santa Trains who generously donated 3,272 toys! On December 10 and December 17, you will receive a return ticket for the special Santa Train in return for a new, unwrapped toy. You can donate the toys at any of the West Coast Express Stations in exchange for the one, same day return ticket. There they are a’wassailing on WCE! The Santa Train departs Mission City at 10 a.m. and stops at all WCE stations along the way. Once in Vancouver, you can enjoy a day of holiday fun before returning home from Waterfront Station at 4 p.m.
Santa will be available for pictures at The West Coast Express North Pole Station (aka Waterfront Station) at 2:45 p.m. so be sure to bring your camera! This year is especially cool because if you can’t stay downtown for the whole day, you can take the SkyTrain out to the Tri-Cities now with the newly opened Evergreen Extension! **Please note that if you choose to take SkyTrain home, regular fares will apply. The full schedule and more details can be found here. All ages are welcome! Bring your friends, family and neighbours out for this great event that helps make Christmas brighter for those in your communities.